Great customer service isn’t hard to deliver–but excelling at it requires focus and attention. 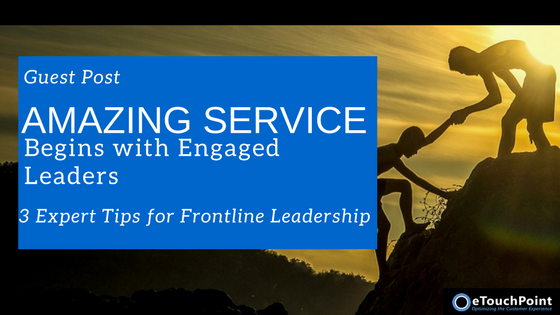 When any service experiences go awry, frontline leaders should look for lessons and opportunities to motivate their teams. They need to remember the integral link between employee experience and CX. In this guest post, Sean B. Hawkins–named a Top 50 thought leader by ICMI–provides 4 expert tips to create high-performing teams that deliver outstanding service to customers. Customer experience has become the top priority for companies that recognize the limitations of a transaction-focused strategy. Many companies, however, are falling short in grasping what customers truly value. A recent study found that 55% of companies want to be the best in their industry in CX. And other research shows that companies that receive the highest CX ratings also have the strongest employee engagement. The message is clear: focusing on employees is key to success in CX. This insightful article from Forbes explains why you can ignore the connection between employee engagement and CX. Tying variable compensation to CX and VoC metrics seems like a clear way to motivate employees. However, companies must take care to link the right goals to financial incentives to achieve desired outcomes. This is not always an easy process–but it’s worth the effort.